Health problems abound in older adults. Health management is crucial for the elderly since there is a gripping goal to extend the life span. As people reach the sunset of their lives, they are confronted with problems especially in their health. As adults age, they are more susceptible to chronic diseases such as diabetes, hypertension, heart disease and dementia. They may have a health condition that may lead to a serious health problem. It may cause premature death if not well managed. As such, seniors often are subjected to the care of another individual. They may be getting their healthcare from a hospital facility or in an assisted living facility. In such case, caregivers are needed. They are there to ensure the careful management of health and proper healthcare to seniors as they age gracefully. Caregivers are employed to improve or maintain the quality of life. One of the most common health issues facing the elderly is dementia. As caregivers, knowing more about this condition is key to ensuring that the elderly is receiving the best care possible. Caring for other people suffering from dementia can be a daunting task for caregivers. A standard solution for a condition may lead to another problem. There are some drugs that interact with other drugs leading to a dangerous spiral. This can be true among patients with multiple health challenges. If you are a caregiver with a ward suffering from dementia, it is important to understand the disease. Gaining understanding of the condition and to learn what it is all about can be helpful in providing care to the elderly. The National Institute on Aging (NIA) has set a definition for dementia by saying that it is “the loss of cognitive functioning-thinking, remembering, and reasoning.” It is sometimes a case of behavior challenges. This is because the senior may not be able to move or function the way he or she did before. Another definition offered by the National Institute of Neurological Disease and Stroke said dementia is not a single disease. The institute said it is more of a general term indicating a wide variety of brain health problems, which in turn may impact normal brain function. Dementia is a condition that is pretty rare among people under 60. It becomes more common as people age. About seven percent of people over 60 years old have dementia. Almost a third of people over 85 years old deal with the disease. Dementia is increasingly common in later life. As one’s age increases his risk for dementia will also do the same. There are also diseases that may either increase the risk or cause the development of dementia. Parkinson’s Disease, heart disease, stroke, hypertension, diabetes, thyroid problems, vitamin deficiencies and delirium are just some of the conditions that raise the risk for dementia among senior people. As we talk about dementia, we normally link it with Alzheimer’s Disease, which may grow worse as time goes on. Not all dementias have Alzheimer’s Disease and not all dementias are progressive. Causes of dementia may include chronic alcoholism, the growth of brain tumors or strokes. There are also some who suffer from dementia as a result of side effects from medications. There are some cases of dementia, however, that are reversible. There are many types of dementia such as Alzheimer’s Disease, which is the most common, and vascular dementia. Some other types may include frontotemporal disorder and Lewy body dementia. Lewy body dementia is a complex health problem in which the symptoms may not be the same in everyone afflicted. The brain is the organ most affected by dementia, as such, the impact is on the ability of a person to carry out everyday tasks and do normal activities. Dementia health problems may include memory loss, personality changes, the decline of cognitive function among others. There are some people with symptoms who may not have dementia. Doctors often diagnose people with dementia only if there are two or more symptoms present, and other possible causes have been ruled out. There are dementia-like symptoms, which may disappear after dealing with treatment. There are three stages of dementia and with their corresponding symptoms. 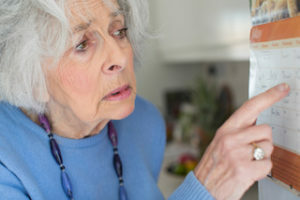 Mild dementia is characterized with getting lost, losing things, trouble handling simple tasks such as remembering to pay the bills or a slight change in behavior. Moderate is seen with people with erratic behavior, trouble recognizing people especially relatives, confusion, and increased memory loss. Severe, on the other hand, may be characterized with loss of bowel control, skin infections, and the patient may have difficulty speaking. It is best for people with relatives suffering from dementia to look for a geriatric specialist to control and manage the brain disease. Early detection and evaluation can help slow down the progression of the disease. As a caregiver, it is also important to know how to care for the sick especially if the form of dementia has been ruled as incurable. Research is ongoing to find a cure for dementia. As of the moment, dementia is incurable. The only thing that can be done is to manage the symptoms or to slow down its progression. There are rare cases that it may be curable. But, that may be a long shot and would depend on so many factors. As far as the most common form of dementia, Alzheimer’s Disease, there is no known cure of the moment. It is best, as a caregiver, to network closely with the patient’s doctor in managing its symptoms and prevent it from worsening too quickly. It is going to help for any caregiver to understand what dementia is all about. Caregivers may lose patience when the patient starts to yell. People who provide care for the elderly shouldn’t lose patience and should never take the situation personally. This is because the unwelcome behavior may be the effect of the disease on the patient and there is very little control over the behavior at that point in time. People who provide care to people with dementia need to cope well by learning certain tips such as the following. Caregivers give their all to the patients and this may not be a good thing. Instead, it is best to have realistic and attainable goals. There are times caregivers are striving for unrealistic goals, which may only cause frustration and exhaustion on the part of the caregiver. It is best to have a realistic goal that is minimal. An example is the goal of keeping the patient clean and comfortable at all times. It is a good goal to aim in assuring the patient is nourished by getting well fed. Realize the success rate may always be at less than 100 percent. Caregivers able to reach attainable goals are happier and will not spend time fretting about unattainable goals. Although it may be difficult, but it is best to have achievable goals than to aim at goals that will never happen in the first place. Focus on the patient’s basic health care needs. Since conditions may not have cures, it is best to keep the patient healthy to prevent secondary health problems from occurring. There are ways to keep the risks of strokes which is a risk among people with dementia. Caregivers can encourage the patients to do more exercise. They need to see to it that the patient is eating right. Have their blood sugar and blood pressure constantly monitored. Diet is another thing caregivers should be looking at. Many people get strokes because of inappropriate diet for seniors. The use of drugs can also control certain factors such as the rise in cholesterol levels. It is best to open up these things with the doctor. This way the risks of strokes and the co-occurence of other medical conditions can be avoided. Be extra sensitive to the patient’s changing mental and physical needs. People with dementia may have difficulty in understanding verbal and non-verbal cues. This may cause anxiety and stress both ways. It is best for caregivers to be straight to the point in communicating with the patient. Be clear and concise when providing instructions and communicating with the patient. There could be a need for a mountain of patience since it may happen that one needs to repeat the same words over and over to get a point across with a person with dementia. It is best to reduce distractions and noise when trying to communicate with a person with dementia. Never make the conversation more confusing to the patient, use names, rather than pronouns when dealing with persons in the exchange of ideas. It is important to remember, especially for the caregivers, the behavior of the patient has a reason. The patient may not have complete control of the behavior which may be exhibited. Never take it personally when the patient suddenly shouts or strikes. The person may not generally intend to act that way or to cause injury to another person. They don’t intend to hurt as they try communicate a need. It’s likely that they may just be trying to say something which they can’t voice out in words and they end up venting out their frustrations, which cannot be expressed in any other way. There is a need to look at the world from their point of view. By understanding the behavior, the caregiver is able to prevent an emotional crisis from his or her own vantage point. Help the patient live a normal life as much as possible. The key thing here is to make things as normal as possible. As a caregiver, continue to socialize and to engage in light banter. There is a need to make the seniors as comfortable as possible especially later in life. There are social situations the seniors with dementia may struggle with. Caregivers need to make sure the elderly with dementia are able to remain physically active and socialize more. There are many activities that may be enjoyable for both the caregiver and the patient. Learn new hobbies and try to complete tasks with the patient, which may be something that is worthwhile done in tandem. Find a way to make the situation less stressful for you and the patient. As a caregiver, it may be helpful to help the senior with dementia to discuss and remember things in the past. This may help in exercising the mind as you evoke pleasant memories. This can make the patient feel better and more comfortable. Memories of the past may not be something that can cure, but it will surely make the elderly feel better. Looking at past photographs or talking about travels with friends and family can be a starting point. Continue to encourage the elderly to share experiences and freely express feelings. This is surely an enjoyable moment for both the patient and the caregiver and also to strengthen the bond with loved ones. Caregivers need to remember there are types of dementia that are progressive. They become worse over time. The symptoms may grow worse over time. As such you need to get reminded to be steadfast and to anticipate the changes as they appear. If there are strategies that seem no longer working, ditch them. Connect with the patient’s doctors to learn how to handle things. It is rather difficult for anyone to put up with behavioral challenges. Don’t forget the patient’s safety and security. As a caregiver, it is your primary responsibility to ensure the safety of the senior. They may end up more forgetful and they may get lost. It is best to remain flexible and apply the right interventions as they fit. There may be a need to increase the level of supervision a caregiver may provide to the senior as needed. It is an ongoing challenge balancing out supervision of the senior while allowing for acceptable levels of independence. The safety of the senior is of the utmost importance so working out a supervision plan that anticipates a certain amount of the senior’s spontaneous behavior will help keep the senior safe while minimizing caregiver stress.